Sam Beesley ‘19 took home a pair of individual titles at the Montgomery County Private School Indoor Track Championships yesterday, winning the 1600- and 3200-meter races. Sam has dominated county independent schools this year having won the Small School State cross country title in the fall while being named All-MAC. Overall the boys team finished third and the girls team finished fifth at the county meet. Sam comfortably won the 3200 meters by more than a minute with a personal record. Other Lions with personal records on the day include Tyler George ‘21 (55 meters and 300 meters), Katie Hester ‘20 (55m), Adela Adiaconitei ‘21 (300m), Hunter Qin ‘22 (300m), Berke Tuncer ‘22 (300m), Hanaah Junaideen ‘21 (500m), Aaron Lobsenz ‘22 (500m), Connor McCloy ‘22 (500m), Alex Blass ‘22 (800m) and Nick Tsintolas ‘20 (800m). 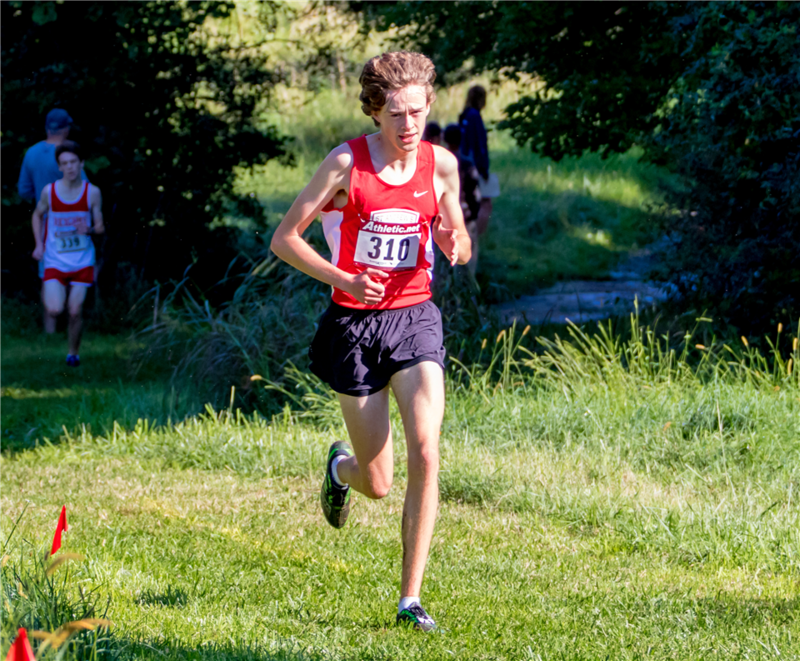 This past fall, after taking a year off for an injury, Sam led the cross country team to several top three finishes and claimed four individual titles, including winner of the Montgomery County Private School and Small School State championships. Among his classmates, Sam is known for spreading joy and laughter as senior class president as much for his running prowess. For him, happiness is an innate part of the St. Andrew’s experience. It was Sam’s sunny outlook that got him into running, recalling how he “pretended to be really excited” about middle school cross country. With time, he discovered that he genuinely enjoyed running and earned a spot on the varsity team. This fall Sam will run cross country at Oberlin College, where he’ll study environmental science and policy.